who kindly requested me to send them straight to her mum. I am depressed- There! I said it! I woke up this morning with a realisation. I think it was my broken bed that did it. It broke last night and I spent the night rolling into the middle. I've been denying it for a long time. but when I was lying there this morning, uncomfortably hunched above broken slats. Surrounded by a messy bedroom and piles of washing and not really thinking anything. That's when the realisation hit me. I hate the house, I hate this stupid bed. I don't want to get up but I don't want to stay here. For months I have been struggling. I've been making silly financial decisions, well just wasting money really. I've not been keeping up with things in the house. I've had trouble falling asleep and then waking through the night before finally getting up ridiculously early. I've found it difficult to hold conversations. I've not been spending time with people I love. I am isolated and depressed. Because there is no one else to do what I do. I am fairly alone on this. I don't have the option to hand the person I care for a sick note. I went to see my doctor back in March. I am already taking Fluoxetine at 40mg and have been since my parents died in 2010. I told her I was struggling to cope. She offered me to sit on the 10-month waiting list for talking therapies. I said no. I said surely things will be better for me in 10 months time! She said I couldn't increase my medication because 60mg of fluoxetine is only for people with eating disorders. I could change my meds she said. I cant go through a meds change whilst my daughter is so poorly I told her. but then the receptionist phoned me 2 weeks later and cancelled it as my doc wasn't available on that day. She offered me another for six weeks later which I declined, mostly because I was annoyed. Then my doctor retired. I got a letter in the post. So now I'm doctor-less and depressed. I went to see my new doctor about my sore thumb, i didn't mention my low mood and basic desire to curl up in a ball and tell the world I'm not playing anymore because I don't like him. So what am I going to do with this realisation? When I have felt like this before i normally just keep plodding and I manage. I don't really feel I have any other option then to plod on. Maybe I'll tell someone that yes- I am depressed. Mental Health Problem in Kids- the parents fault? So this week I got involved in a discussion on the Guardian. It was an article about the growing waiting list for CAMHs services for young people, something that I have experienced and have strong views on. When I read down through the comments there were some very interesting thoughts but also some very narrow-minded ones too. So I just wanted to address and explore the opinions of those that feel mental health problems in young people are the fault of the parents. Firstly I want to address the 'moddy-coddling' theory. There seems to be those that feel that mental health problems in children stem from those children being over-indulged, spoilt or have been helicopter parented. There are whimsical tales of the good old days when a clip round the ear would sort your child out! The reality is that Mental Health issues aren't a fad or a child misbehaving. They are an illness. If my daughter needed a wheelchair because her legs caused her pain, society wouldn't dare question it, they would hold the door open. But when it's in the head, when it's a chemical imbalance or the brains response to a traumatic experience they are accused of being a spoilt brat. If self-harm and depression were a result of moddy-coddling then both my children would show these behaviours- but my son does not. The next misconception is that mental illness in children stems from a dysfunctional or neglectful home. This is one I find incredibly offensive and naive. Yes there are many children in the UK and indeed the world who experience neglect and/or poor parenting, there are children who experience terrible things in the family home and this will undoubtedly affect their mental health. But there are also children who suffer from mental health issues that are brought up in stable and loving environments. There are children in family units that display mental health difficulties whilst their siblings do not, and there are children who suffer trauma away from the family unit which affects their mental health. We are a 'normal' family and have a very close extended family. There is no addiction in my home, no abuse of any kind or violent behaviour. My children's needs have always been met, they have been brought up in a strong and stable environment. They had stories at bedtime, food on the table every night and I've never used smacking as a form of discipline. Other than the death of my parents, my children have never been exposed to emotional turmoil nor have they experienced or witnessed violence. Sometimes there isn't really a single thing to pinpoint for a parent to say 'That's why she behaves like this' because actually, it's an illness. A condition. And as I said before if it were a physical condition no one would question this. There seems to be a belief that self-harm and depression in kids is just an extension of their development from child to adult and a way to get attention. This is not something I can agree with at all. Self-harmers actually go to extreme lengths to conceal their self-harm from their loved ones. And as well as cutting can also adopt other harmful behaviours such as scratching, pulling hair or eyebrows and burning. The list is endless. But all kept as a secret. They feel guilt and shame but cannot resist the overwhelming urge to release their emotions in this way. I have been to A&E with a self-harmer and can honestly say it's a horrible experience, not something that someone does to get their own way or to get more attention than their siblings. Even when these behaviours are made known to others is it attention seeking? or is it a cry for help? The very fact that someone finds self-harm as a release is an indication that they need professional support. I do believe that growing up in modern society, with social media, exam pressure and families under pressure it is much harder than my own childhood but depression, anxiety and self-harm aren't a new phenomenon. Well, guess what? Mental health issues have existed as long as written records began! There are many fully grown adults including pensioners who live with mental health issues, If this was all new then no one above the age of 50 would be suffering from their mental health. The difference is that now we are much more open about mental health. We know now that it is not something to be ashamed of. Telling your child to pull their socks up and get on with it may sound like an appealing and socially acceptable way to manage when they are feeling down and overwhelmed with the world but in the long term, unaddressed mental health problems in children will no doubt be carried into their adult life. In the article, there were a few comments about having a self-entitled attitude towards the NHS and access to services. In the UK we pay into a national health system which means that we contribute from our earnings and when we need treatment and support we can access it. I've worked all my life and my dad also contributed 50 years of tax to this system as did his father and so on. Nowhere in life would we accept as a society to keep paying for a service that gets worse and worse. You wouldn't keep going back to the same coffee shop if the queue got longer every morning, the prices were increasing but the quality of coffee was declining and you had to beg for a refill. Our system in the UK is flawed and so much worse under a Tory government of austerity and budget cuts. There are ailments and illnesses that parents can treat at home without medical support from the NHS- chicken pox, the flu, slap cheek. But not depression and anxiety. I do not have the skills required to help my daughter change her coping mechanisms. I can help her through a panic attack but I'm not trained to know how to prevent them in the first place. I can buy bandages and dress a wound but I don't what methods to adopt to prevent the self-harm in the first place. I don't feel I have an unrealistic expectation of the NHS. My expectation was that my child was displaying behaviours that I could not help her with on my own and that someone would help me. If she was displaying symptoms of a heart problem she would be a priority due to the risk of a life-threatening condition but there are so many suicides in young people every year which could be prevented if the right help was available at the point when it is needed. These children and young adults will grow up to be tax-paying members of society. It seems counter-productive not to invest in their mental well-being if as result they carry these mental health problems into their adult life and invariably cost the NHS more money long term. For me, it's a no-brainer. Help them while they are young. Please take advice from someone who knows! Speak to the school, speak to your GP, keep asking for help. Don't hold back in fear of seeming like a neurotic parent as I did. Because without help your child's mental issues can spiral out of control and the damage may become irreversible. And most importantly try not to feel like you've failed. Imagine if you could have an emotional outlet in your pocket. Something to ease your worries, offer an immediate distraction from negative thoughts and offer self-soothe therapy on your device. When Thrive asked me if I would like to try their Mental Health App I was intrigued, as a person that deals daily with depression and anxiety this is not something I had considered before but I am always open minded to anything that might help us get through the day. The App was quick and easy to download from the App store (also available through Google Play) once I had signed up online. The App icon imagery looks good on my iPhone and only took 130.1 MB of my storage. 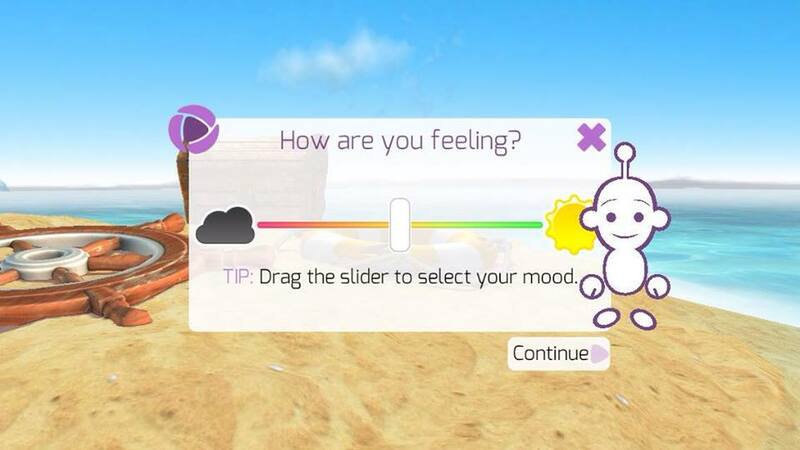 Mood Meter - I began each day using the mood meter to rate how I was feeling. Once I told the app how I felt I followed a series of questions to reach my recommended actions for the day. As I used it each day the app got to know me and offered more personalised advice. Goal System- Once the App has identified what may help it set me goals to complete, some goals from the app like meditation and some to do in my life like take a walk or write a list to ease my worries. Once I completed my goals for the day I could check in and mark them as complete which gave me a good feeling of accomplishment. 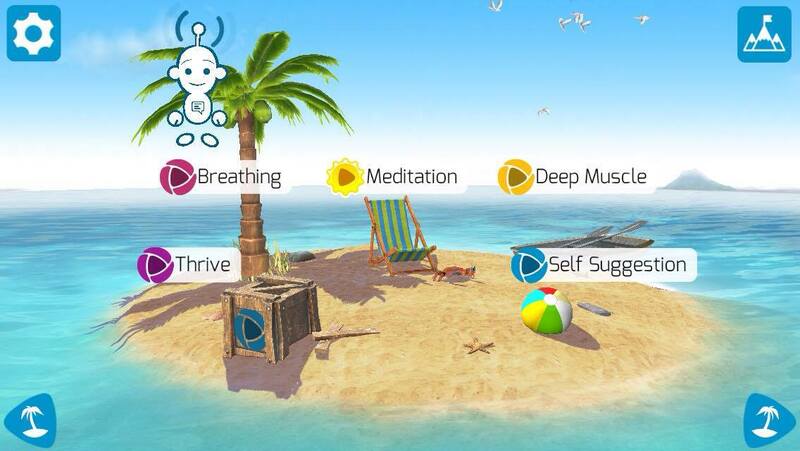 Calm Island- This feature offers relaxation techniques to unwind. The music that accompanies them is very relaxing and it is narrated by a soft female voice. My personal favourite was the meditation as I was able to do this in bed with my earphones without disturbing anyone else. it definitely helped me settle down for sleep. the mood meter recognised that I'm not sleeping as well as I could be by my answers so offers me some practical tips for avoiding stimulants and improving my sleep hygiene. 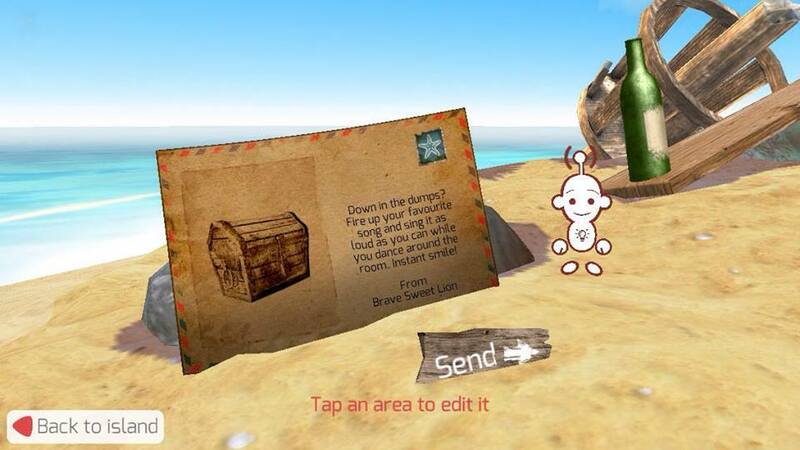 Message in a bottle- This is one of my favourite features. After creating a fun username, mine is Brave Sweet Lion, I can send other users of the app positive messages, my identity is completely protected as these messages are sent anonymously and it's nice to think I am offering support to others. 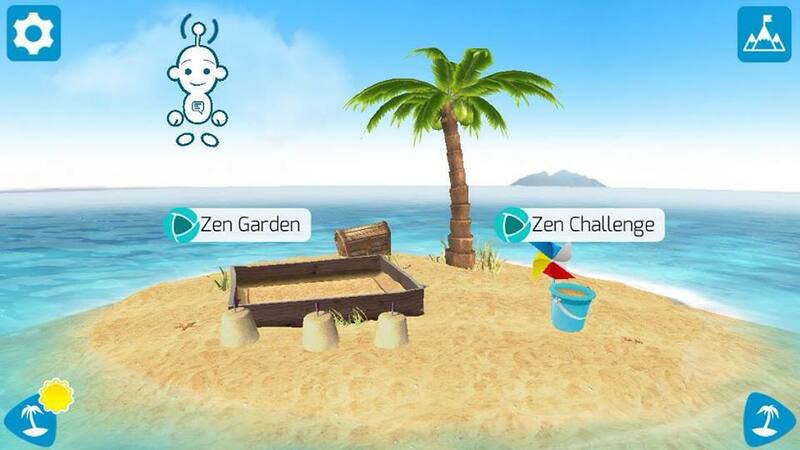 Zen Garden- The Zen garden is a nice distraction area of this app. It offers the opportunity to either get your creative juices flowing by designing your own Zen garden or getting immersed in a little mini-game. I think this function is handy when you just need to zone out of reality for a while. I found this app really helpful and a fun way to prioritise myself and my needs. The fact that it has been developed by professionals in psychiatry is very clear as the app offers safe sensible advice and although can't in itself treat a person with mental health struggles I feel it can definitely compliment treatment as a therapeutic app. 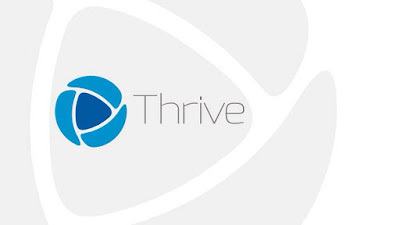 Thrive has kindly offered my readers a month's free trial to give this app a try. 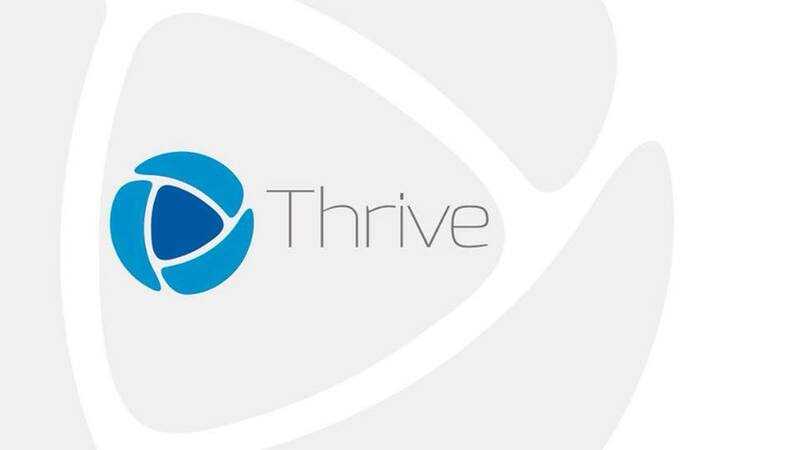 All you need to do is visit Thrive and add the code FSFOCT300917. It is important to seek advice from your GP if you are experiencing symptoms of depression and/or anxiety. There is good advice on the NHS Choices website here for those struggling with their mental health. Separation anxiety is something i know a lot about. But when i was researching to put this blog together i was surprised to see how most articles and personal experiences were of young children. I guess this is because Separation anxiety is a developmental stage in some young children. But actually for carers and and their dependants this is a real daily struggle. When you think about anxiety and the control it can have over your life then suffering from separation anxiety isn't really a surprising concept. When you struggle daily with thoughts of terrible things happening, an impending doom that you cant really explain to someone else and a fear of getting in a situation where you are in danger then its obvious that you will cling to the person that makes you feel safe. When K was at her worst i could not leave her side. Every sound, every fleeting glance form someone in the street, every hushed conversation was a threat to her safety. I became her voice because she could not tell people what she needed. I couldn't even leave her with my sisters who she is very close to because she felt the only person that could protect her from harm was me. In fairness to K i started to find that others couldn't offer her the same level of vigilance and awareness that i did. I was like a bodyguard, constantly on the look out for possible anxiety triggers, avoiding certain situations and places, finding walking routes which minimised as much human contact as possible. Family saw this as over indulgence when her problems began but after looking after her for me for a couple of hours began to understand why it was so important to stay nearby. What i know to be a car backfiring K might perceive to be a gun shot. What i perceive as a young man wearing a big coat because he's cold K might perceive as someone concealing a weapon with a plan to hurt her. What i know to be the click of the central heating K may think is someone trying to break into our house. And what you find is that after a while this separation anxiety becomes two sided. As her mum and her carer i know the effect having a bad experience will have on her mental health. One time when we were grocery shopping, she asked if she could sit on the bench at the back of the checkouts while i filled the conveyor belt. Which i thought would be fine. Off she went with her earphones safely in her ears. within my vision of course. Within minutes she was back, hysterical and shaking because an elderly man had tapped her on the arm and said something to her. In her mind he could have said the most sinister thing, she couldn't hear him as she always wears her earphones. He could have made the most terrible threat. Rationally he probably made a comment on the weather or how busy the supermarket was but for her, she would spend the rest of the day feeling uneasy and unsafe. Another time, at the same supermarket, she asked to go look at magazines while i shopped. I was so pleased, thinking this is great, she is venturing off to do things without me. What she was actually doing was stealing painkillers and pencil sharpeners. She was planning her own death while i was buying cornflakes. I discovered this later the same day and we went off to hospital that night because for the first time in my role as her mother i felt i couldn't keep her safe. I had to say i couldn't cope. We were admitted to the children's ward right outside the nurses station with the curtains open and for the first time in a long time i slept all night knowing someone was helping me keep her safe. So you see the separation anxiety becomes two way. If I'm not with her i cant be sure that she is safe, both from her perceived threat and from herself. But when K was at her worst i could not trust them with my daughter. And if they were honest i think they found the responsibility and level of attention needed to take her out overwhelming. I'm not angry at them for that. I get it. When we finally got our CAMH's assessment, professionals started to become involved. You might think i was happy with this. And i was. but it was hard. All of a sudden the outreach team were coming to collect her from the house for an hourly session. So for a whole hour i couldn't really be sure she was was OK. Yes these people are professionals but can they really keep her safe to the level that i do. Friends were advising me to use this hour for self-care. Have a bath, they said, pop to the shops, but i couldn't. I wanted to remain available. So i would sit in my lounge with a cup of tea and wait for her to be returned to me. It look a long time for me to trust someone else to keep my daughter safe. As K's medication started her anxiety eased and she became a bit more rational in her view of the world and its dangers. Gradually she started to work with more professionals and she began exposure work. Going to cafes and small shops, this is still ongoing and she stills finds this really difficult but I'm so proud of her for continuing to face her fears and do things without the safety of me being near. For me separation anxiety is still a part of my everyday life. K has started college now so is away from me three days a week for seven hours a day. Yesterday she used community transport to travel to college for the first time. Normally i would travel with her, and then come back on the bus and then back again in the afternoon but this has proved to be very tiring, stressful and expensive. The stress of constantly waiting around and jumping on and off public transport was starting to make college a negative thing for both of us so being collected from the door with a chaperone on board a minibus is a real blessing that i am so grateful for. We both continue on this journey of K's recovery. Confronting our mutual separation anxiety is an important part of this journey. We keep in touch via text throughout the day, and although i feel anxious if i don't hear from her, i know i need to learn to let her have space to grow and slowly i am beginning to do things while she is away. She knows I'm never far away if she needs me and slowly i am beginning to trust other people to make sure she is safe and offer her emotional support in my absence. 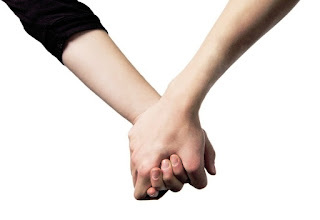 Its difficult for me to offer advice on how to cope with separation from a carers perspective as i said at the start of this blog there is very little reading material or articles on this but i find it very difficult to believe that this isn't a common issue for young people and Adults. I have found a good book on Amazon written by Robert Blick PHD. This book covers separation anxiety from an adults perspective, and has some good suggestions for coping mechanisms as well as recommendations for further reading. Unfortunately i cannot find a physical copy in the UK but it can be downloaded to an e-reader. Being a teen in this modern world is, in my opinion, a lot harder then it was for my generation. I grew up in the 80's. Life wasn't easy for us, we had barely any money, lived in a fairly rough area and got by by amusing ourselves playing in the street for hours and taping the top 40 on a Sunday. The 5.30pm episode of Neighbours was the highlight of my day. My mum was at home when i came home from school, i was able to leave bullies at the school gate and was fairly unaware of what was happening in the world, locally, nationally and worldwide. We were tucked up in bed before my dad switched on the news. This is a sharp contrast to the lives of today's teenagers. I have two teenagers. They have freedom that i never had. They have technology that i could only have dreamt of. But unlike my own childhood, my teens have spent time left alone while Ive worked, they have been bullied online and have experienced exam pressure that i never had to endure. The modern teenager is under a lot of pressure. The mental health of Teenagers and young adults is a subject very close to my heart. I have spent the last hour reading over The Good Childhood report released in August 2017 by The Children's Society and i find the findings really worrying. They carry out an invaluable service to young people in the UK, and have put together this report, The Good Childhood Report, to explore how our teenagers feel about the world and how happy they are. So why are our adults of the future feeling like this? If you are regular visitor hopefully you will have read my blog on social media and its effects on our teens, if you would like to have a look you can find it here. The rise of social media and technology mean that young people are much more aware and exposed to the dangers of the world. i think its completely understandable that teenagers feel more vulnerable when they have instant access to all the terrible things that are happening everyday. The recent terrorist attacks have caused a lot of distress to my already anxious 12 year old niece. My sister did her best to prevent her from seeing it in the media but with my niece having her own phone it was impossible to do. With the constant sharing revolution that we now live in its very difficult to protect our children from the realities of crime, even in your own area. Being online makes it much easier to be targeted by bullies and unable to escape the ridicule of others, silly mistakes are now filmed and shared within seconds. I can remember when my son E was 14 he got into an argument with another boy over a girl and was punched in the mouth. Within hours there was a video uploaded to You tube of the argument and fight for all to see. It took me 2 days to make contact with the parents to have the video removed. The immense pressure of GCSE success on teens is another major cause for anxiety and stress. I may be looking back with rose tinted glasses but i honesty don't think we were under such strain when i was at secondary school. Even at primary school level children are experiencing stress, pressure and a constant need to prove themselves with SAT's tests. The growing poverty caused by the current governments austerity measures and the roll out of Universal Credit apply more pressure to already struggling families. I think it can be easy to dismiss the social exclusion and isolation teens feel by not being able to do things their peers are doing or view not having the latest fashion or technology as being spoilt or over indulged when actually poverty makes teenagers a target for bullying. 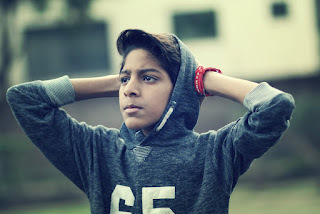 A teens parents or carers are, although the teens may not like to admit it, a pivotal part of their well being, as a parent it is very difficult to hide family problems from your children, my kids always know when something is worrying me or if we are a bit strapped for cash. They are much more aware than they seem! When i read that 200,000 children don't feel they have emotional support at home, i thought how awful that this amount of teenagers cant talk to their parents! 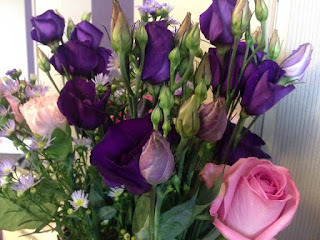 But then it occurred it to me that lack of emotional support doesn't necessarily mean they aren't loved or cared for. When you consider there are an estimated 700,000 young carers in the UK, would they want to trouble a poorly parent with their own worries? Teens with disabled siblings may also find it difficult to approach parents when their family is under so much pressure. There are so many reasons that a loving home environment can be lacking emotional support and teens need someone they can confide in and trust. In situations where there is little emotional support at home or the family themselves are struggling to cope, help and advice from outside the family unit such as school counsellors and CAMH's are stretched to the limit due to budget cuts. I have personally experienced difficulty in accessing help and support for my daughters mental health issues and unfortunately things had to come to a crisis point before help was offered. Even when support was made available it was disjointed and we were signposted from service to service because in reality none of them wanted the workload on their budget. Numerous times K was offered services that weren't suitable or she wasn't well enough to use just because that was all that was on offer in our area. I really feel that if K and i were offered the right support and intervention when her problems first began her mental health would not have deteriorated to the level it did. We need to ask the government to invest in our young peoples future. 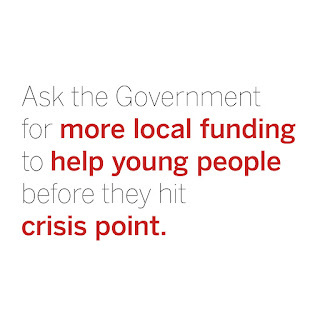 The good childhood report states that funding for early help services for young people alone is expected to be cut by 70% between 2010 and 2020. This will leave a 2 Billion pound gap in services for young people. An earlier study carried out by the Children's Society showed that 70% of children and teenagers who experienced mental health problems were not offered appropriate intervention at a sufficient age. With these continued cuts this will only get worse. These teenagers are our future adults. They will grow up to contribute to our society. It is important that we nurture them and offer them the support they need to develop into healthy minded adults with the ability to deal with life's pressures. 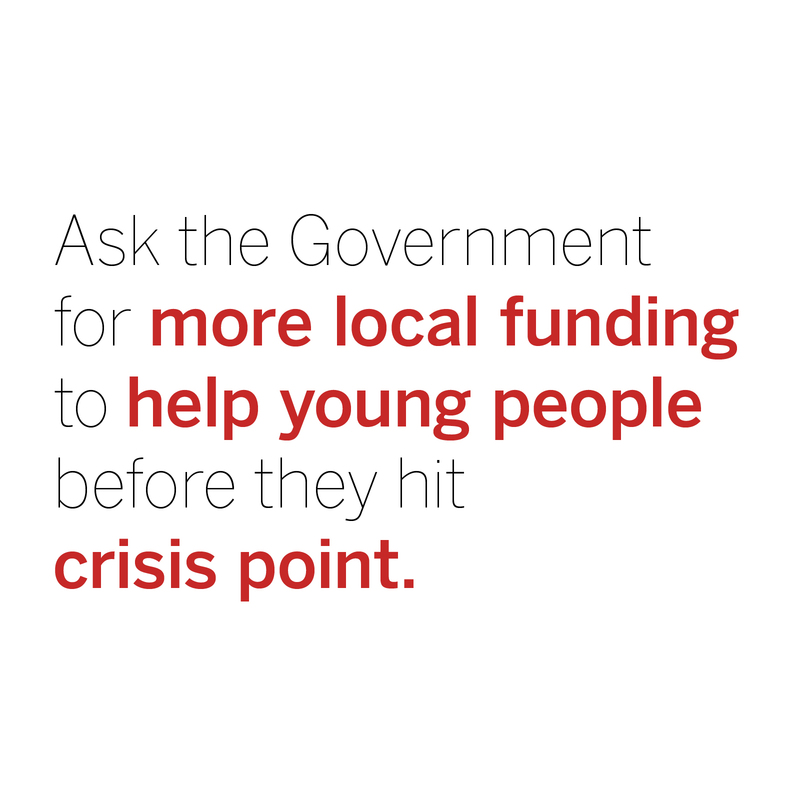 The Children's Society have created a petition to ask our government for more local funding to help young people before they hit crisis point. Insomnia and depression are a vicious circle. You feel low, you've had a tough day, and you have a 101 things on your mind. You go to bed and lie there unable to sleep and become more and more frustrated. You toss, you turn, you get up, you lie back down, you start thinking how tired you're going to be tomorrow and become more restless and stressed. K has had a lot of problems with her sleep. Its natural for a teenagers sleep habits to be out of sync with the rest of the world. They tend to socialise with others on social media until the late hours, each too much junk food and watch too much Netflix. But Ks problems were different. She wasn't sat up munching on crisps and watching Breaking Bad whilst scrolling though Instagram. Her anxiety and low mood would plague her in the evening for fear of not sleeping and at bedtime she would toss and turn, running over all the things that had worried her during the day and jumping at every noise. Some nights she would still be awake at 3am and become so frustrated and angry at not being able to sleep she would cry or become aggressive. These problems would then continue into the next day with being unable to wake until the late morning and being cranky and unreasonable during the day, which made her low mood and anxiety worse and the cycle continued. In order to help her i was lucky enough to offered help and advice from CAMHs. They gave us some great tips which we put into practise and some did really help. In day to day life you don't always realise how your bad habits can affect your sleep routine. 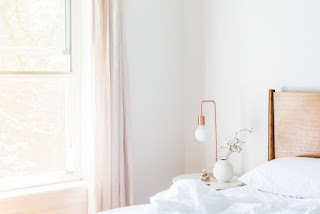 Here are my 12 tips to improve your sleep hygiene and get a better nights sleep. Stimulants such as Tea, coffee, nicotine and fizzy drinks will affect your ability to nod off. It is recommended that you have your last cuppa about 3 hours before going to bed. Try and get out of the house and get some exercise. I appreciate this can be very difficult when a person is unwell, but in the past when K has been been having a really bad day i have been able to persuade her to go for a short walk in her pyjamas and a coat. A 15 minute walk can make a big difference to energy levels and state of mind. Keep your bedroom clutter free and tidy. Its almost impossible to relax and settle in a room when you are surrounded by things you haven't sorted out yet. It just makes you feel worse. If you haven't had time or cant find the enthusiasm to do that basket of ironing then move it to another room so you don't have to think about it at bedtime. 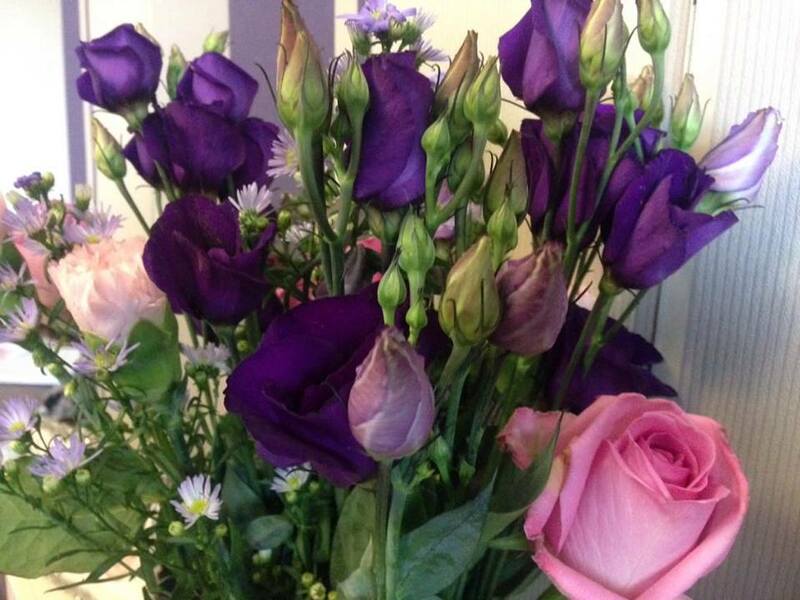 Surround yourself with lovely things that make you happy. lovely soft bedding, photos of those who make you happy on your walls and soft and fluffy pillows. Get a bed side lamp so that you can snuggle up and read, black out blinds to keep the room nice and dark and maybe a fan to keep you cool in the Summer months. I cant emphasise the difference just treating yourself to some new pillows can help. I did this recently and and slept so well. Recognise that sleep is as important to your health as diet and exercise. Have a bedtime routine. Treat yourself to a warm bath, or set aside 15 minutes to read before you settle down. 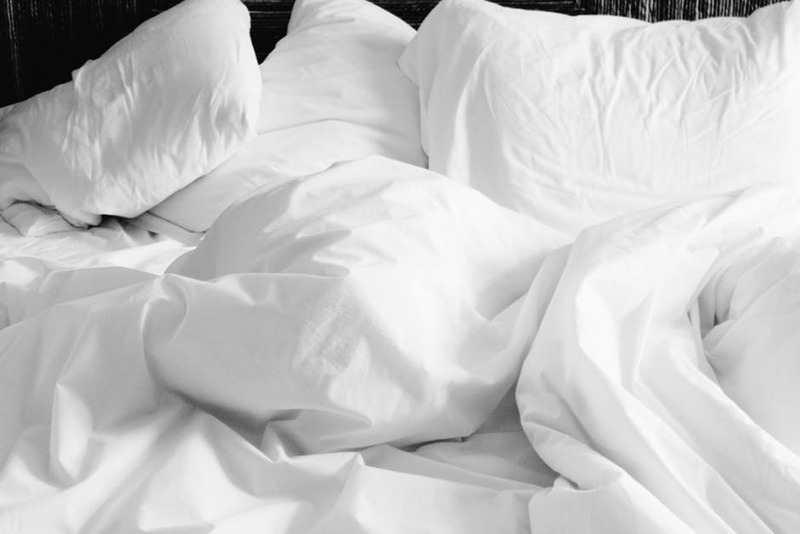 it can be good to go up to bed at a specific time each evening but i also feel its better to stay away from the bedroom until you are feeling tired and only go to the bedroom to sleep otherwise you may feel frustrated that you aren't dozing off by 10pm. Research states that the blue light from devices such as mobile phones and tablets disrupt the sleep hormone Melatonin and make it harder to fall asleep. Switch your mobile phone an hour before you go to bed and try not to use your phone as your alarm clock so you aren't tempted to scroll when you're trying to snooze. Try to clear your mind before settling down for bed. If you have things on your mind then trying writing things down before you go to your bedroom. Mind clearing exercises such as Meditating and Yoga can be very helpful as well using visualisation. My CBT therapist taught me a method where i would imagine all the people that were on my mind and visualise picking them up their heads and placing them gently away from the bed, another visualisation that i find helps is to imagine a white board. Visualise writing your worries on this whiteboard and then rubbing them away. We have found some great sleep and meditation music on You tube which has really helped K settle down. There is quite a variety including panpipes, soft piano and waves crashing. There are also some great relaxation Cd's and audio books on the market. Keeping a sleep diary can be really helpful for identifying reoccurring behaviours that may be disrupting your sleep and and also can be valuable if you decide to seek help from your GP. There is a great printable template for a sleep diary at NHS choices. The NHS Choices website recommends visiting your GP if you are suffering from Insomnia for more than one month. Your GP will be able to discuss your lifestyle and health and may offer solutions such as talking therapies or sleeping medication. You can visit NHS Choices for more information on Insomnia. 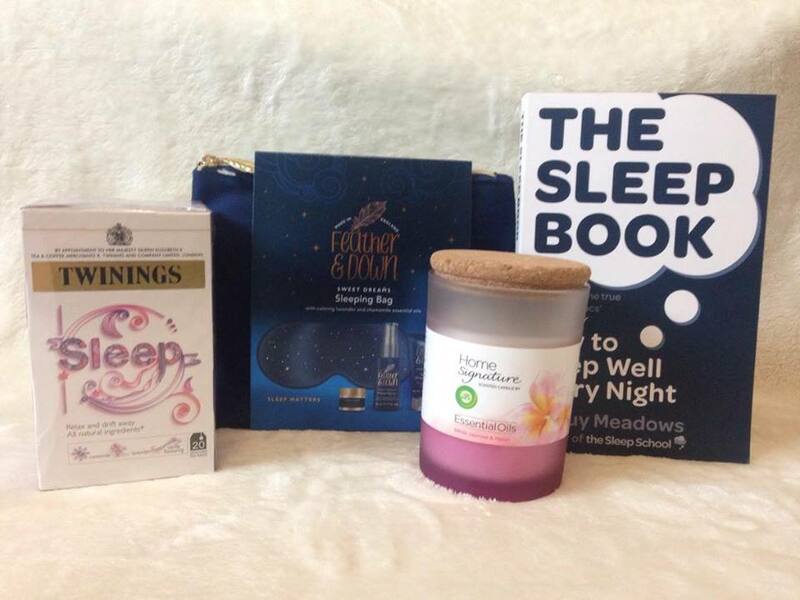 Today i am giving away a sleep bundle perfect for achieving a great night sleep. The closing date is 12th October 2017 at 23.59 (GMT). One winner will receive Feather and Down Sweet Dreams Gift set, Air Wick Essential Oil Scented Candle, The Sleep Book by Dr Guy Meadows,Twinings Sleep Teabags.